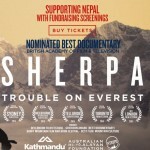 On the eve of the Paralympics there was a timely film on UK television this week about a group of remarkable disabled mountaineers on an expedition to the Himalayas, which also provided some insight into one of the most talked about incidents on Everest this year. The programme Harry’s Mountain Heroes followed the exploits of five injured British soldiers who were sponsored to climb Everest by Walking With The Wounded, a charity which funds the re-training and re-education of British servicemen and women. Prince Harry is patron of the charity and is interviewed extensively. During one sequence he describes how envious he is of the climbers, in spite of their injuries, for having the chance to climb Everest. Earlier this year there were rumours in the British press that he himself would be part of the expedition (I quashed these rumours, albeit a little satirically, in a previous post, Is Prince Harry really going to climb Mount Everest?). I really enjoyed the programme, despite its crass tabloid-style opening (“Everest, the highest and one of the most dangerous mountains on the planet. Since it was first climbed in 1953, it’s both fascinated and killed many of those who have tried to summit its lofty peak,” drones John Simm in movie trailer voiceover mode). But any irritation I had about the clichéd start was quickly dispelled when the climbers described the injuries they received in combat. One had burns over nearly his entire body, one had a paralysed arm, while another had a punctured lung from a bullet wound and described how he would become exhausted just pushing a trolley around the supermarket. Perhaps the most remarkable of all was a soldier who lost an arm and most of the muscle fibre in one leg. He is filmed wearing shorts on a climbing wall, his leg looking rather like one of those cross sections from medical text books that illustrate our insides. The programme was particularly interesting for me because I was on Everest myself this year, climbing from the north side at the same time as the Walking With The Wounded team were climbing from the south. Their expedition was major news on both sides of the mountain and a big talking point for days, not because of the presence of the wounded soldiers, but due to the extraordinary decision of expedition leader Russell Brice, whose Himex (or Himalayan Experience) team they were climbing with, to cancel the expedition early before any them had an opportunity to attempt the summit. 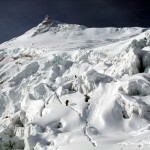 Brice withdrew his team from the mountain on May 6, citing the Khumbu Icefall, which climbers must cross between Base Camp and Camp 1, as being too dangerous this year. This is borne out by the film, where members of the team are shown watching a huge avalanche fall straight down the Icefall the afternoon before they are due to climb up it. When a similar thing happened to me on Gasherbrum I a few years ago, I chose not to ascend. Climbers minimise the risk of exposure to avalanche in the Khumbu Icefall by ascending during the night, when it’s colder and therefore more likely to be frozen. In spite of this, as they climb during darkness in the film, they constantly hear avalanches crashing down the slopes around them (although you do need to take some of this with a pinch of salt because a television programme like this one is always going to overplay the drama). 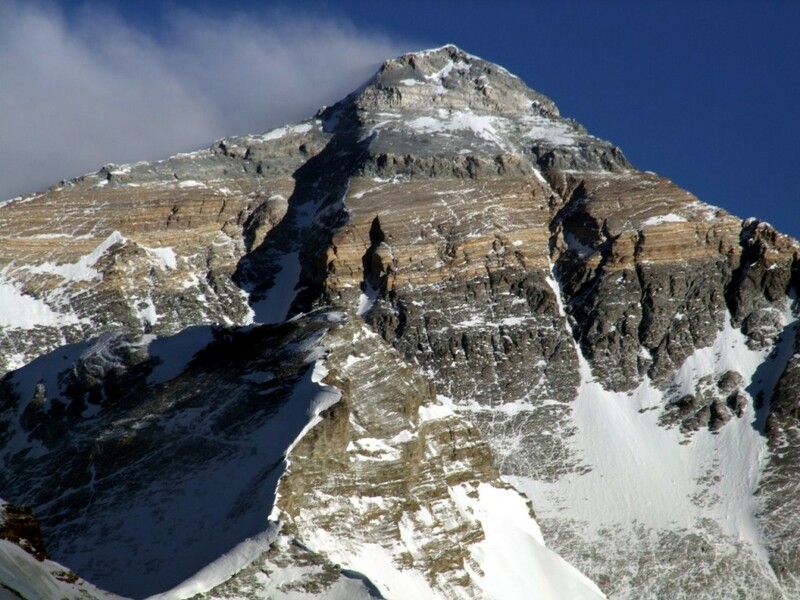 There was no doubt abnormal conditions made Everest less safe than usual this year. The mountain was unusually dry, and this led to increased rockfall on the Lhotse Face, the route above Camp 2 up to the South Col. There was a huge serac hanging over the western side of the Khumbu Icefall waiting to collapse. 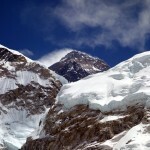 Several Sherpas had already died, including one of Brice’s own Sherpas after collapsing from a stroke in the Icefall. The extraordinary thing about his decision to abandon the expedition is not that they left before making a summit attempt, but because they left so early. At the time Himex departed it was looking like there would not be any summits at all if conditions on the route did not improve. What was needed for that improvement was more snow to fall and consolidate, reducing the hazard from rockfall and avalanche. While some other teams followed Himex’s example and left, most stayed. The much-needed snow did eventually fall, and there ended up being two very small summit windows on 19/20 and 24/25 May. So why didn’t Brice wait a little longer like everyone else? Only he knows the answer to that, but we can speculate. He stated that it was his Sherpas who ultimately decided it was too dangerous to continue. Certainly the death of Dawa Sherpa will have affected morale, and he has to be admired for giving his employees the ultimate say-so in a life and death situation. Brice has always been a controversial figure who attracts criticism, not always fairly. He is one of the pioneers of commercial climbing on Everest, and perhaps more than anyone else has helped make it accessible to climbers of lesser ability. It’s probably fair to say in general his climbers are less experienced than those of other teams, but he balances this by providing a higher standard of service and safety. His only client casualty was the French snowboarder Marco Siffredi, who died snowboarding down the Hornbein Couloir in 2002 and doesn’t really count: they agreed Brice would no longer be responsible for him after he reached the summit. Did the disabilities of the Walking With The Wounded team influence Brice’s decision? It shouldn’t have done, because they were only a small minority of his team. There will be some who question whether people with severe disabilities should be climbing Everest at all, but in the case of the Walking With The Wounded I don’t hold with this view. I’m one of those people who think it’s a good thing for the world’s highest mountain to be more accessible to people, and in some cases, including theirs, provision can be made for climbers with disabilities. For example, there was footage in the film of the climber with a paralysed arm using his teeth to move his jumar up a fixed rope. Perhaps he did use his teeth briefly, but you can be sure the producer left this bit in the programme because he thought it made good television. While two hands (or in this case teeth) are required when the rope is slack, this is not the case when there is tension on the rope, either from a climber ascending above you, or somebody pulling the rope taut from behind. In this case you can easily slide your jumar up the rope with just one hand. With a personal Sherpa climbing behind him to ensure the fixed rope is tight, it’s therefore possible and no more dangerous for a one-armed man to climb a fixed rope just as easily as anyone else. A member of my own team had his Sherpa clip him in and out of the ropes throughout summit day this year because of a known susceptibility to frostbite which prevented him from removing his down mitts. This put no one in any danger, and merely meant he was able to reach the summit when otherwise he might not have done. I do believe that to climb Everest you must have previous experience, but how much you actually need is always going to be open to debate. You can argue that service in a war zone makes them more deserving than most to climb Everest because determination and will-to-live is as important as technical climbing ability, and is a quality they have in abundance. But perhaps more importantly than this, while Harry’s Mountain Heroes showed the wounded servicemen training for Everest during the expedition on nearby Lobuje East, what it didn’t show was this wasn’t their first experience of using a jumar. 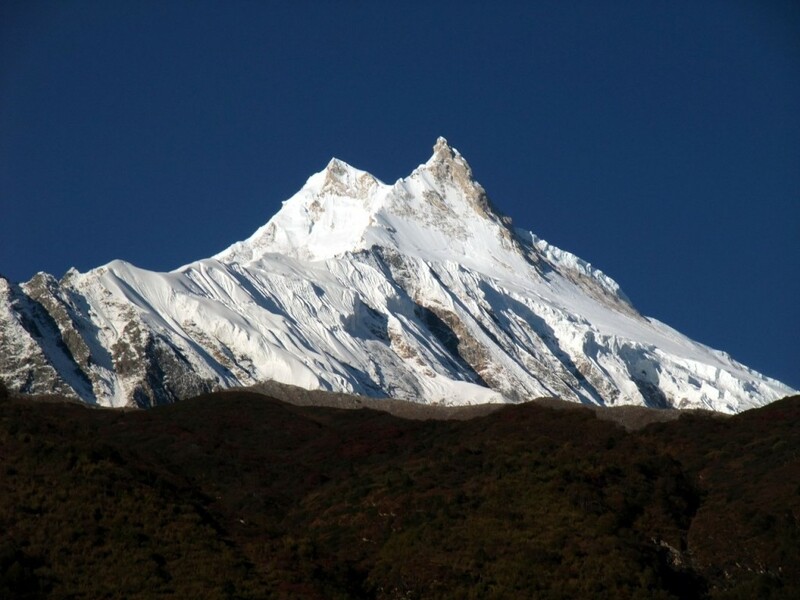 In October last year they had also prepared by climbing 8163m Manaslu, the 8th highest mountain in the world, far better experience than what many able-bodied climbers on Everest have (I know this because I was there on Manaslu at the same time). Russell Brice may have been ultra-cautious to avoid any negative publicity that would inevitably have resulted had any of the high profile Walking With The Wounded team been involved in an accident. 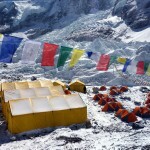 Perhaps the death in his own camp made his decision more emotional than rational, especially among his Sherpas. Four people died during their summit attempts on May 19, and some will point to this as vindication; others will point to the absence of any accidents in the 24/25 window as evidence he should have stayed. He is what he is, and whatever the rights and wrongs about his decision he will always be a legend on Everest. More importantly than reaching the summit, all of his team returned safely. Everest will always be there for them to climb again, and they will continue to be an inspiration to others. And on a lighter note, Harry managed to keep his clothes on throughout the programme.